We thoroughly clean all gutters and downspouts by hand, using buckets. This includes the front and back and high and low portions of your entire gutter system. We also clear your roof of leaves, twigs and other fallings. We test each downspout to make sure all clogs have been cleared. Very important! We take great pride in cleaning up all gutter debris after cleaning your gutters. According to the Consumer Product Safety Commission, more than 90,000 people receive emergency room treatment from ladder-related injuries every year. Keep yourself and your loved ones safe…don’t climb that ladder! Leave the climbing to us. Unlike some companies that charge you for each 100 feet of gutter or by the number of clogged downspouts, our pricing holds no surprises or gimmicks. You will be quoted a fair, flat rate that covers your entire gutter system. We leave our bill on your front door in a plastic bag after cleaning is completed. We include a pre-addressed, stamped envelope for your convenience. With a Seasonal Contract we’ll take care of your gutter cleaning needs automatically. With a seasonal contract we provide you with automatic, worry-free service that takes care of the cleaning of your gutters and downspouts. A seasonal contract avoids the inconvenience involved in all those back and forth phone calls to arrange an appointment. We take care of the proper timing for you. 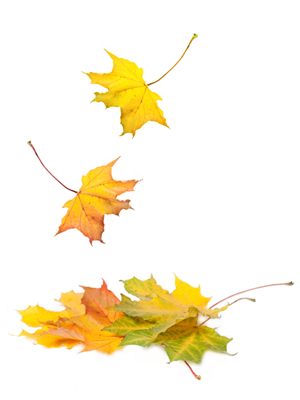 We automatically come out after the fall leaves are down in the autumn and after the spring fallings have dropped from your trees in the spring. If your particular trees are “late” in their cycle, we will wait and return at the appropriate time to service your gutters and downspouts. Let us know if you are interested in learning more about our seasonal gutter cleaning contract. We can talk about the best approach for your particular home. Contracts can be cancelled or revised at any time. Call us directly or complete and submit the information on the Contact Us page of this website. We will never clean your gutters and spouts before your fall leaves are down or the spring fallings have completed their cycle. Gutters and downspouts become clogged with autumn leaves or spring seedlings that reduce or eliminate the flow of water. Clogged gutters prevent rain water and melting snow from properly flowing away from the foundation of your house. Pooled or freezing water can cause cracks in your foundation leading to flooding in your basement or crawl space. Ice damming can occur when water freezes in clogged gutters, pushing up against the roof structure and under shingles, causing leaks into your home. Water spilling over the front of the gutter destroys decorative landscaping and rots the wood around windows and doors. Blocked gutters can cause deterioration of wood on the roof and fascia boards that support your gutter system.